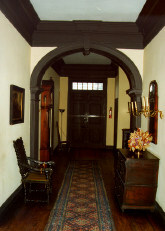 Built c. 1721 by William Trent, founder of Trenton, the William Trent House stands as one of the city’s most historically and architecturally significant sites. This was home to many notable figures including a chief justice, three New Jersey governors, and a Revolutionary War colonel. 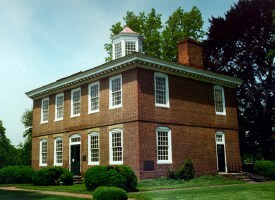 As part of the large scale Historical Documentation and Strategic Planning Study for the Trent House, Powers & Company prepared a comprehensive history of this National Historic Landmark which involved deed research, examination of historic and Revolutionary War maps and surveys, and the review of collections and manuscripts at over twenty regional repositories. From 1997 to 2008, Robert Powers directed an additional component of conducting an architectural evaluation of the resource’s exterior and interior features and the development of prioritized preservation recommendations. The nationally recognized Inventory Conditions Assessment Program database was selected as the most effective system for assessing and documenting the condition of each feature. The ICAP database will also serve as a tool to be used by the City of Trenton for documenting all future restoration and repair procedures.